Location: New Haven, Connecticut and Washington, D.C.
Weili Cheng has over 30 years of combined experience in hospitality and law. She has developed extensive knowledge in hospitality law, operations and strategic planning, due to her wide-ranging background. She is the Executive Director of the Association of Yale Alumni and in that role, is responsible for overseeing the direction of alumni organizations and programs as well as providing a channel for communication between Yale University and its alumni. Cheng started her career in law with a prominent Honolulu law firm and then as an attorney advisor and trial attorney at the U.S. Department of Justice in Washington, D.C. In 1985 she began a +30-year career with Marriott International and held a number of leadership roles involving Litigation, Strategic Planning and International Lodging Development and Global Operations. In her most recent position, she was Senior Vice President and Deputy General Counsel for The Ritz-Carlton Hotel Company and Bulgari Hotels & Resorts, for almost a decade. In this role, she oversaw legal matters relating to the company’s operations, which involved 124 lodging and residential properties in 29 countries, including the negotiation of agreements relating to management, licensing, real estate and finance, the resolution of significant disputes as well as providing advice on intellectual property, litigation and ethical compliance matters. As a member of Ritz-Carlton’s Executive Committee, she also played an active role in shaping the company’s global business strategies and policies across the Americas, Asia, the Middle East and Europe. With her legal expertise and knowledge of the hotel industry, she significantly contributed to the company’s success. She also served as chair of Marriott’s Casino Oversight Committee. Throughout her career, Weili has been recognized for her professional achievements, including being named to the Power List by the Lawyers of Color in 2014 and receiving the Women’s Leadership Award from the National Asian Pacific American Bar Association in 2013. She is co-chair of the Hotel & Lodging Legal Summit, a legal conference based in Washington D.C., held annually since 2012. 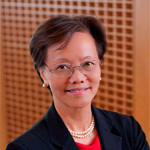 Weili serves on the Board of Directors for Yale Alumni Publications, Inc. and has served as an officer and on various volunteer boards relating to Yale University. Cheng has also been a member of the Adjunct Faculty at Georgetown University’s School of Continuing Studies. Weili graduated from Yale University with a B.A. in Philosophy. She holds a Juris Doctor degree from the Georgetown University Law Center.